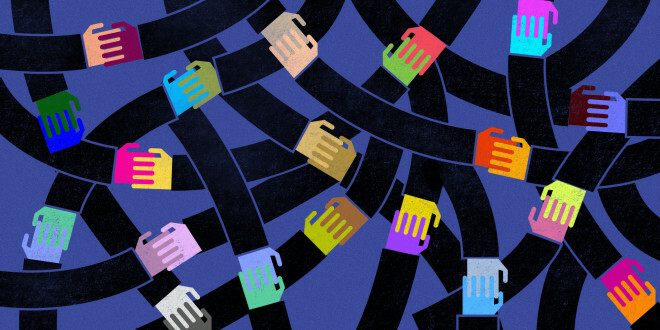 Interested in learning more about the nitty-gritty of how blockchain technology works? Read on for an overview of the three most prominent blockchain algorithms. When we talk about the blockchain, the first thing that comes to mind is security and the blockchain consensus algorithm. Those who know about blockchain know that we keep the ledger transactions synchronized across the network to ensure that ledgers only update when the appropriate participants approve transactions. And, when ledgers do update, they update with the same transactions in the same order. This process is called consensus. Here we will discuss the three different consensus algorithms. The above story represents the Byzantine General’s Problem. There are many solutions for this problem, but we will talk about Practical Byzantine fault tolerance (PBFT). In 1999, Miguel Castro and Barbara Liskov introduced the “Practical Byzantine Fault Tolerance” (PBFT) algorithm, which provides high-performance Byzantine state machine replication, processing thousands of requests per second with sub-millisecond increases in latency. We are here only talking about PBFT, and not the number of other solutions out there because PBFT is the only potential solution to the Byzantine General’s Problem. The IBM backed Hyperledger uses this consensus algorithm. In PBFT, each node maintains an internal storage. When a node receives messages coming through the node, these messages are signed by the node to verify its format. Once enough same responses are reached, then a consensus is met that the message is a valid transaction. One of the most well-known algorithms of the all is Proof of Work (PoW). This algorithm is used by one of the strongest crypto-currencies, Bitcoin. This is one of the most commonly used consensus mechanisms. Unlike PBFT, PoW doesn’t require every node on the network to submit their message to reach any consensus. Instead, in PoW, an individual can provide the conclusions to reach a consensus. An individual, also known as a miner, calculates the hash of his block header and checks whether the conclusion is correct or not. If the conclusion is wrong, then the miner modifies the nonce and they try again. For example, let’s say we are going to work on a string “blockchain” and our target is to find a variation of the variation of it that SHA-256 hashes to a value beginning with ‘0000.’ We vary the string by adding an integer value to the end called a nonce and incrementing it each time. Finding a match for “blockchain” takes us 1042 tries. The last algorithm I'd like to talk about is known as Proof of Stake (PoS). Here, the mining is done by a stakeholder who is selected by the network based on their stake. Unlike PoW, there is no reward for the block miner in the PoS system. The miners get the transaction fees instead. Crypto-currencies like Peercoin, BlackCoin, and Nav Coin use the PoS system. So, these are the three well-known consensus algorithms. Each one has their pros and cons. Published at DZone with permission of Prabhat Kashyap , DZone MVB. See the original article here.